I only know a few people who do not appreciate a good hamburger. However, did you know that eating meat constantly worsens the health of the earth? Global warming is caused by a surplus of greenhouse emissions in the atmosphere. Each day with more and more greenhouses gases being released, the temperature of the earth continues to rise. Global warming is severely affecting the greenhouse effect. The greenhouse effect makes sure that the earth maintains a manageable temperature by blocking some UV rays. (See Image Below) There will be serious consequences if humans do not limit the greenhouse gases in the atmosphere. Due to global warming, the earth’s temperature has started to rise rapidly. One source of the problem is meat production. Since there are a lot of nonrenewable resources used to produce meat, greenhouse gases are increased. Essentially, humans’ meat consumption heavily contributes to the global warming issue. 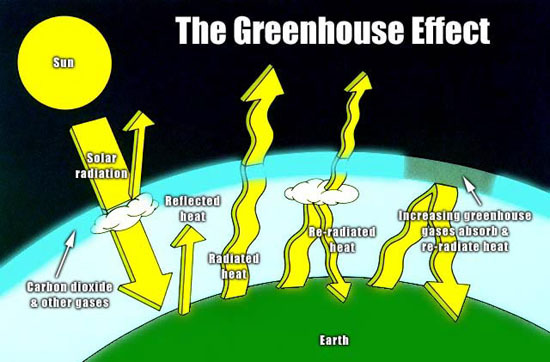 This image shows how the Greenhouse Effect works. When there is a surplus of greenhouse gases in the atmosphere such as carbon dioxide, nitrogen, or methane, this causes the earth to get hotter.
. When growing crops to feed cows and other animals, most conventional farmers use fertilizers; these fertilizers release nitrous oxide and other pollutants in the atmosphere. Not only do these fertilizers increase greenhouse gases, according to the UN Environmental Program, fertilizers also threaten human health. Additionally, manure is another source of the problem. Mass producing animals means that there is lot of poop. Unfortunately, manure releases the greenhouse gas methane. With steadily increasing demands for meat, methane and nitrous oxide continue to fuel global warming. In a study published in the Environmental Research Letters warns there will need to be drastic changes in food production in order to stop a disastrous global warming. Developed countries are the main sources of the issue. In many first world countries, eating meat is expected at every meal; according to Eric Davidson, director of the Woods Hole Research Centre in Massachusetts says that eating meat,”… is part of our culture right now.” This new study suggests that countries like the US would have to cut consumption by 50% to avoid horrific environmental problems by 2050. Also, according to Woods Hole Research Centre in Massachusetts, developed countries will have to reduce fertilizer use to 50% as well. In conclusion to help stop global warming, people have to stop eating so much meat. I have fully committed myself to the cause by becoming a vegetarian to help the earth keep its cool. Global warming could easily be solved if developed countries were not so in love with their hamburgers and steak dinners. What will you choose to eat next? Clarke-Billings, Lucy. “‘Stop Eating Meat and Save the Planet’ Says United Nations.” Express. N.p., n.d. Web. 6 Oct. 2014. <http://www.express.co.uk/news/uk/378484/Stop-eating-meat-and-save-the-planet-says-United-Nations&gt;. Cows. America Aljazeera. N.p., n.d. Web. 6 Oct. 2014. <http://america.aljazeera.com/content/ajam/watch/shows/techknow/blog/2013/10/6/waste-from-thousandsofcowscreatesenergyforanentiredairyfarm/_jcr_content/blog/mainpar/adaptiveimage/src.adapt.480.low.jpg&gt;. Goldenberg, Suzanne. “Eat Less Meat to Prevent Climate Disaster, Study Warns.” The Guardian. N.p., n.d. Web. 6 Oct. 2014. <http://www.theguardian.com/environment/2012/apr/13/less-meat-prevent-climate-change&gt;. Greenhouse Effect. Zhibocc. N.p., n.d. Web. 6 Oct. 2014. <http://www.zhibocc.com/wp-content/uploads/2012/05/greenhouse-effect-definition.jpg&gt;. Hamburger. Wikimedia. N.p., n.d. Web. 6 Oct. 2014. <http://upload.wikimedia.org/wikipedia/commons/6/62/NCI_Visuals_Food_Hamburger.jpg&gt;. I liked how you provided all of the negative effects that meat consumption has on the environment. You did a good job of supporting your argument. After I read your post I was wondering about the effects of chicken or fish consumption because you didn’t mention those two proteins. Some quick research lead me to a couple of facts that I found helpful and interesting. First, red meats are 150% more greenhouse gas intensive than chicken or fish. 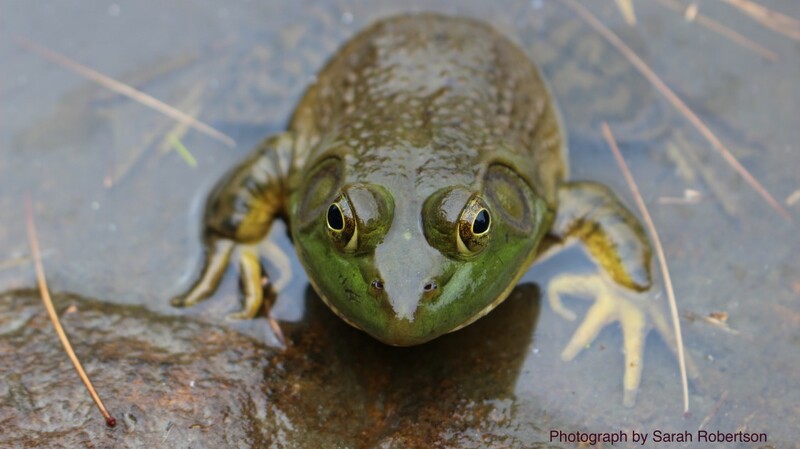 Also, even though fish have a low greenhouse gas impact, many species are eaten in such large quantities that they are at risk of extinction. Overall, great post! Your post was very interesting. I did not realize that there was so much negativity towards the environment due to the production and consumption of meat. I do understand some of the points that you made, however, producing and eating meat is not the only thing that contributes to the emission of green house gases. By telling people they should stop eating me to save the environment, you should also tell them to stop driving their cars or flying in airplanes. There are so many other things that contribute to green house gases that I think it would be okay for someone to still eat meat. Definitely not as much meat but it would still be okay to do so. I think that you did a real nice job in finding an article that has to do with almost all citizens in the world! So, overall, great job! This post caught my eye because I do in fact like hamburgers. I did some research after reading your article and found that “It turns out that producing half a pound of hamburger for someone’s lunch a patty of meat the size of two decks of cards releases as much greenhouse gas into the atmosphere as driving a 3,000-pound car nearly 10 miles.” (http://www.scientificamerican.com/article/the-greenhouse-hamburger/) I think that your right in the fact that the only way to combat the greenhouse effect is to cut down America’s intake of meat. However, I can’t think of a way that would reasonably enforce this without infringing on peoples’ rights. This is a bizarre case of science intersecting with social issues! I loved reading this because I myself am a vegetarian and it was nice to read that by not eating meat we are helping out environment. You did such a solid job providing evidence for each of your points. The visual representation really helped me understand you post fluently. I think that as the word gets out about this topic it will prompt others to lean towards becoming vegetarian or cutting down their meat consumption. Your post prompted me and made me wonder if there are alternative ways that people can enjoy meat without harming or environment?? I think that would be really nice to look in to.